Thank you. I did not notice that before. The article used the term "格林威治時間" (Greenwich Time) instead of "格林威治標準時間" (Greenwich Mean Time). So I believe you are correct. It's possible they both mean ~ UT+09, since Britain (and, by extension, Greenwich) would have been on DST in the summer of 1946. So, 8 hours ahead of the time observed in Greenwich, but 9 hours ahead of the [mean solar] time at the Greenwich meridian. Hard to know for sure without further context. "The new (Summer) Standard Time will be 8 hours slower than Greenwich Time and 1 hour faster than Guangzhou Time"
Yes. 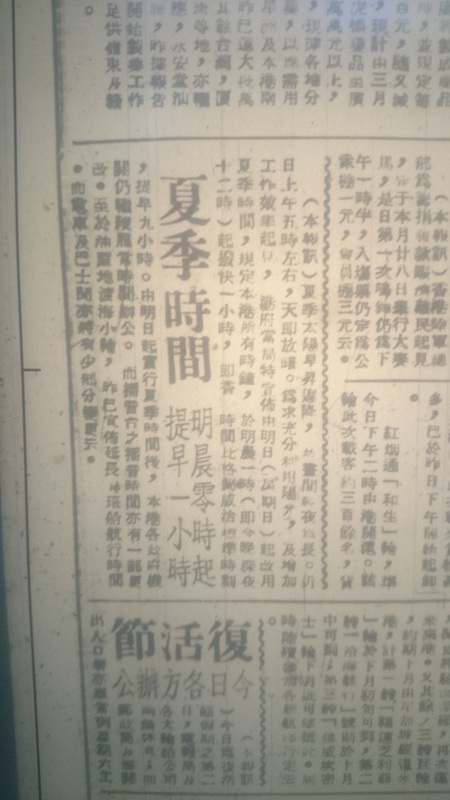 But I also found another newspaper which stated "9 hours ahead of GMT".